Home / Fairfax Title Company / Do I Need Owner’s Title Insurance For New Construction? Most people who purchase a home purchase title insurance, which protects their property and finances in the event of unexpected occurrences, such as pre-existing liens or undisclosed heirs to the property, during the purchasing process. But what about newly built properties? Do I need owner’s title insurance for new construction? As it turns out, the answer is yes. The land on which your new home is being built, the workers constructing it, and other factors can all come together to cost you money. New properties carry unique liabilities that older homes do not, and title insurance can give you an added layer of protection to help you combat those liabilities, should they arise. Liens can be placed on a property to ensure payment of a debt. These can include tax liens, property liens, and even credit card liens. They can be placed on the land on which your property is being built if a previous owner has failed to pay their debts, and if you purchase the land, you may inherit the mess of dealing with these unpaid debts and the liens on the property. Hopefully, debts will be found prior to closing and dealt with by the current owner. But…what if they are not? Undisclosed liens therefore represent a major setback in your home building process. With title insurance, a title examiner will complete a thorough search to identify problems like existing liens, alerting you of the danger before you make a purchase. 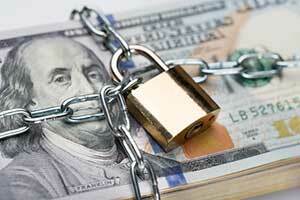 If the liens are filed and discovered later, you end up responsible for their payment. Title insurance can help pay for those costs and any legal fees that may be incurred in the process. 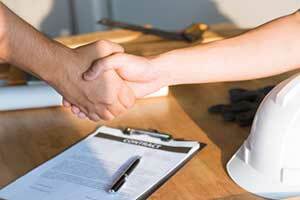 Mechanics’ liens are one of the most common forms of liens. These liens are put in place to ensure that contractors and their employees are paid for their work, even if the person who engaged their services refuses to pay for any reason. If you are unaware of any liens on the land purchased for your new home, you may ultimately become responsible for their payment or be unable to build on the land. Unpaid wages can prevent you from taking ownership of your property and the new home on it until the wages are paid. With title insurance, you can avoid costly legal fees, back wage payments, and the unpleasant surprise of discovering that you may have inadvertently purchased a major problem along with your land. As with other liens, any current obstructions will likely be found during the initial title research process. However, contractors have certain periods of time to file liens and that MAY be after you have purchased. Choosing to move forward without title insurance can cause more time and expenses as you try to deal with the situation on your own. During a land survey, a professional will identify the legal boundaries of your property. In some cases, existing land surveys are used during the transfer process instead of new ones. However, old surveys may not be entirely accurate. Faulty surveys result in unclear property boundaries, making it difficult to ensure that you are truly receiving the full amount of land purchased and potentially causing problems with neighbors who might be encroaching on the land. It’s always best to secure your own, independent survey when purchasing new land. Your title insurance company can help resolve any disputes related to property boundaries. In addition to helping pay for legal fees, title companies use their knowledge of real estate law to assist you in resolving the issue. Title insurance companies can also check for unknown easements, showing you more information about how the land can be used and by whom. Check your title insurance policy before you purchase it, as some do not cover survey problems as part of their base package. A comprehensive insurance policy may be necessary to fully protect your land and your investment in it. Speak with Mathis Title Company for more information about title insurance for new construction and how you can protect your property with a policy of your own. Robin Mathis has years of experience in the legal and real estate fields, and she uses her knowledge to provide in-depth, comprehensive support for homeowners. She personally oversees each closing to ensure that clients receive personalized attention. The Fairfax title company can also assist with liens, refinancing negotiations, contract review and preparation, and settlements, providing new homeowners with extensive support throughout the home buying process.